A collection of valises belonging to Jews who were deported to killing centers. 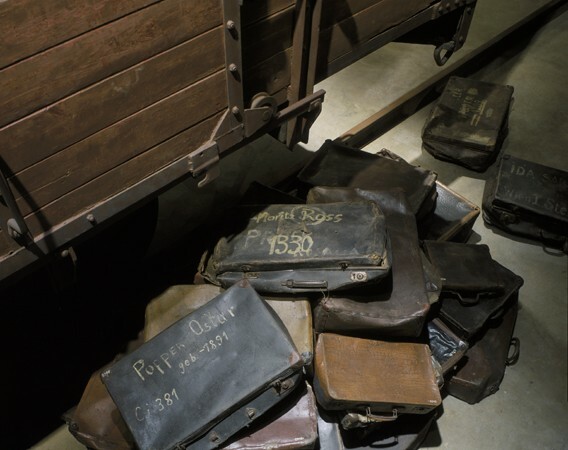 These valises are displayed at the base of the railcar on the third floor of the Permanent Exhibition at the United States Holocaust Memorial Museum. Washington, DC, 1993–1995.